MELBOURNE Cup Day might be all about the $6 million on offer in race 7, but there are nine other races on the card at Flemington and we have them covered with form and free tips. With races such as the Ottawa Stakes, where the two-year-olds run down the Flemington straight, and the James Boag’s Premium Stakes on the card, there’s plenty of great racing to be punted on and the fields have attracted maximum numbers. 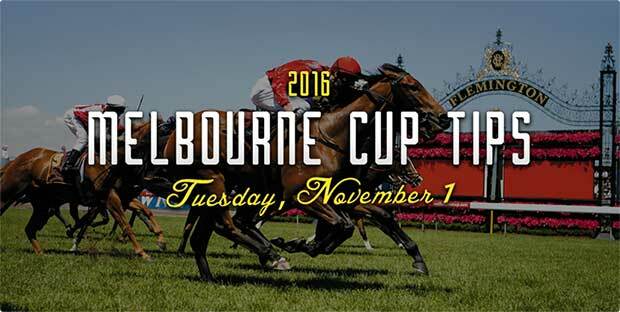 Every punter wants to come away from Melbourne Cup day with a healthy betting account, but why not start the day with one? Sign up to CrownBet.com.au for 100% up to $1000 in bonus bets, which can be placed on any race at Flemington on Melbourne Cup Day. Madeenaty is the shortest priced favourite of the day at $1.65. The Hayes/Dabernig-trained filly won in style on debut at Flemington and a repeat performance could be on the cards. It won the Maribyrnong Plate by 2.25 lengths in a slick 1000m time of 56.59 and it looms as the one to beat, but the odds are short. Lucky Louie has drawn favourably in barrier 17 and it didn’t have much luck on debut. The Anthony Cummings-trained filly finished third in the Gimcrack at Randwick, but it was held up and hampered late, so that was a forgive run and punters are getting a great price again. It’s currently at $16 for the win, but the $4.60 to place is the better betting option. Invincible Star is drawn on the inside of Lucky Louie and champion jockey Joao Moreira will be looking to weave his magic. The Waterhouse/Bott-trained filly was under a hold in a recent jumpout at Flemington and its odds have shortened from $15 to $13. Sort After has been well supported into $3.80 following a last start fourth behind Daysee Doom at Randwick. The Waterhouse/Bott-trained mare likes to sit handy to the pace and its win two back when beating Euro Angel was a great form line for this. It drops right down in weight to 54kg and punters are confident it can rebound here. Model Dragon is unbeaten from three starts and trainer Phillip Stokes rarely brings them to Melbourne without thinking they can win. It won by a length at Cranbourne last start and although this is a much harder task, it must be considered on form alone. It opened at $5 and has steadily been backed into $4. Egypt has been a bookmakers best friend this campaign. The Mark Kavanagh-trained mare has had three unlucky runs and one poor effort which came last start in the Ladies Day Vase. This is the type of race where it could strike when least expected and with Damien Oliver returning from a suspension, he’ll be hoping for a quick return to the winners enclosure. All I Survey doesn’t have the best form line to suggest, but it did run sixth in the Geelong Cup and the form out of that race has been strong. The Pat Carey-trained gelding will stay all day out of this stable and there isn’t a lot of exposed form over the staying distances in this. $7.50 is a respectable price. Super Haze has been backed into $6 following its win at Geelong last start. The Tony McEvoy-trained gelding won in rating 78 grade and it makes a big rise in class for this. It drops only a half-kilo down in weight which isn’t ideal, but it clearly has talent and it could rise through the grades being by High Chaparral. Morning Mix finished third behind Super Haze last start, but it gets a significant drop in the weights. The Robert Hickmott-trained gelding is an imported runner which carried 60kg last start and it will enjoy dropping right back to 54kg for this. That’s a big drop in weight and $4.20 suggests it could make all the difference. Demonstrate has won back-to-back races since dropping back in grade, but it now steps back up to more competitive racing. The John O’Shea-trained is a four-time winner from 19 starts and it cruised home in the Dual Choice Plate last start. It will need to improve to figure in the finish here, but punters are confident in taking the $2.40 on offer. Rageese cost punters at $1.90 last start, but it has enough talent to make amends. The Darren Weir-trained horse finished second at Moonee Valley behind Master Reset, but it didn’t get the best of rides from Brad Rawiller. It has won twice at this distance and its used to carrying big weights. Currently on the second line of betting at $4. Back-to-back winner Lucky Liberty has been backed off the map with the expected showers set to hit Flemington. The Henry Dwyer-trained gelding has scored two solid wins in October, but it does rise from rating 78 to rating 90. That rise in grade isn’t beyond its capabilities as it has run in the Group 1 Australian Guineas. It opened at $19 and it’s currently at $9.50. Speedeor was scratched from Moonee Valley on Friday night and it has been well backed for this, which is a great sign for punters. The Darren Weir-trained colt won in maiden grade last start by 1.5 lengths and the stable has a big opinion of it. It might find it tricky down in barrier four, but watch the market for any further betting plunges. Biased Witness has been supported at $3.50 after its second placing at Moonee Valley last start. The Robert Smerdon-trained colt ran 2.25 lengths behind Conchita and it was seen flashing home late. Its form prior included an easy win in maiden grade before it almost held on to win the Anzac Day Stakes. Drawing wide in barrier 17 is fine for the straight so consider in this. Amanaat should be considered on its maiden win. The Hayes/Dabernig-trained colt scored an impressive four-length win at Pakenham and it ran 58.80 seconds on a slow-rated surface. The Per Incanto progeny is running well at the moment and it could add some value at $8. Sylpheed had plenty of support last start at Caulfield, but it was beaten as the $1.90 favourite and it doesn’t get much easier here. The daughter of Real Saga had solid form prior to that run which included a placing in the Queen Adelaide Stakes. It is paying $4 to win this which is a better price, but we’d need to see an improved effort. Sweet Sherry was an outstanding winner on Cox Plate Day and it’s entitled to be well-supported again. The Corstens-trained filly scored narrowly in the Crockett Stakes at Moonee Valley despite drawing wide and the extra fitness will do it some good. It won its only start at Flemington and another could be on the cards. $5 with bookmakers. Jennifer Lynn has drawn deep in barrier 16 which will make it tough, but it clearly has talent and it could run into the money. The Weir-trained filly produced a big finish to score at Caulfield last start and we’re expecting jockey Blake Shinn to let it settle near the rear of the field and to produce it in the straight. Currently paying $8 and $2.80 for the place. Big Orange has some vital Melbourne Cup experience when it finished fifth last year and its trainer believes it has strengthened up since. It has won its last two starts with the most recent coming in the Goodwood Cup and that form stacks up nicely for this. It’s tough for international runners to win the Melbourne Cup having not had a run in Australia during that preparation, but the odds of $17 will attract many punters. Hartnell has produced some stellar form this campaign and it will likely start as the favourite. The John O’Shea-trained gelding won three consecutive races this campaign which included a 3.25-length win over Jameka in the Group 1 Turnbull Stakes and its last start placing was full of merit. It finished second behind Winx and although it was no match for the champion mare, it battled on well and the extra distance and a firmer track should suit. $5 on offer from bookmakers. Oceanographer’s win in the Lexus Stakes at Flemington last Saturday was a great guide for the Melbourne Cup. Not since Shocking has a Lexus Stakes winner completed the double, but this son of Sea The Stars has plenty of upside and it will relish the step up in distance. Look for jockey Chad Schofield to settle the five-year-old a touch closer to the speed and watch it wind up late. Current second favourite at $7. Tarquin has indicated that a winning run isn’t far away and it has been specked at each way odds. The four-year-old finished second behind Lord Durante at Moonee Valley last start and the step back in distance might help its cause. It didn’t have much turn-of-foot left over the 2040m last start and it’s a runner which is long overdue for a good showing. Fabrizio was a stylish winner by 4.3 lengths last start at Randwick. The Waterhouse/Bott-trained gelding was sent out as the $1.70 favourite against an inferior field and it did the job nicely. It came as some consolation to punters which backed it in the Epsom Handicap after it was given a shocking ride by Johan Victoire. He has since been kicked off and it looms as a major winning threat in this at $2.50. Plot The Course finished off well to win at Caulfield last start and it gets in on the same weight. The Michael Trotter-trained gelding has been working up to the longer distances and it is clearly a better runner with more distance. Michael Walker takes the ride here from the inside draw where it will get a soft run. Upset chance at $8. We were confident that Faatinah could rebound after a poor showing in the Gilgai Stakes and it did when running second in the Caulfield Sprint. The Hayes/Dabernig-trained gelding fought well in behind Our Boy Malachi last start and that should be a strong form guide for this. It does rise in weight which is the concern, but Ryan Moore rides and his style will suit. $7 for the win. Ravi ran on well behind Sheidel in the Northwood Plume and that form looks good after Saturday’s races. The Peter and Paul Snowden-trained mare brings strong Sydney form into this, having won three consecutive races earlier this year, and carrying only 54kg makes it a dangerous proposition. There will be plenty of money coming for it so the $4.80 is a good price currently. On the second line of betting is last start winner Sir Bacchus. The Chris Waller-trained gelding powered home at Moonee Valley last start when it looked beaten and it should continue on with it now. It has always had good form in Sydney against some top class horses and it has won five times at this distance. It is having its first start at Flemington and that can often cause problems, but consider at $5.50. Egyptian Symbol was a stylish winner at Randwick last start and it won its only other start when second up. The Bjorn Baker-trained mare thrives on confidence, but it will also need a plum ride from Blake Shinn after it drew barrier 17. That makes life difficult over the 1400m, but it could feature at $5 with some luck. Silent Sedition has form behind Sheidel with its last-start placing in the Northwood Plume and that was indicative of a horse going places. The Andrew Noblet-trained mare was fresh up on that occasion having run second in the Schweppes Oaks at Morphettville in May. It is better suited over the longer distances now, but it looks a strong winning hope at $4.20. There has been plenty of confidence for Sydney mare Artistry following its placing in the Nivision Stakes. The Snowden-trained mare closed well after being caught wide and it ran Egyptian Symbol to within 1.3 lengths. That was a strong effort and with Hugh Bowman riding, it looms as a major threat at $5.50.